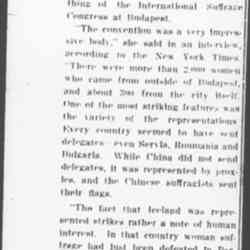 Jane Addams on her return from a four months tour abroad told something of the International Suffrage Congress at Budapest. "The convention was a very impressive body," she said in an interview, according to the New York Times. "There were more than 2,000 women who came from outside of Budapest, and about 300 from the city itself. One of the most striking features was the variety of the representations. Every country seemed to have sent delegates -- even [Serbia], [Romania] and Bulgaria. 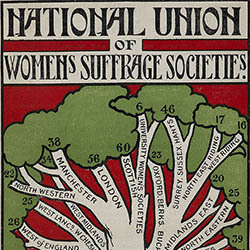 While China did not send delegates, it was represented by proxies, and the Chinese suffragists sent their flags. "Of course Finland was well represented. There are now fourteen women members of the Finnish Legislature, and three or four of these were of the delegation at Budapest. 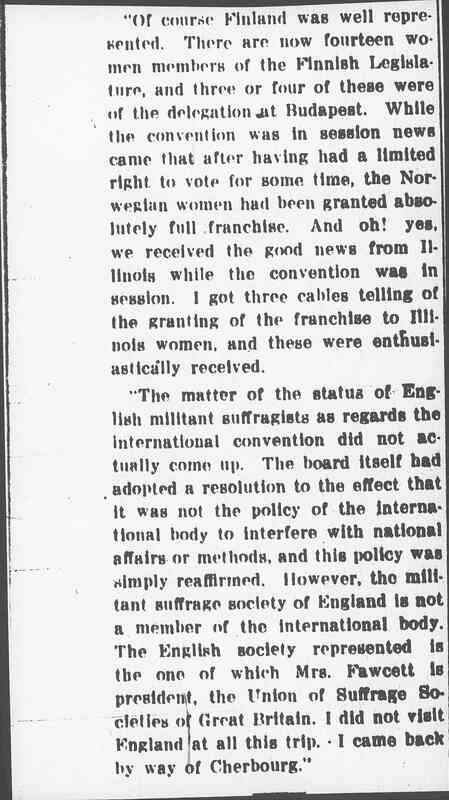 While the convention was in session news came that after having had a limited right to vote for some time, the Norwegian women had been granted absolutely full franchise. And oh! yes, we received the good news from Illinois while the convention was in session. I got three cables telling of the granting of the franchise to Illinois women, and these were enthusiastically received. 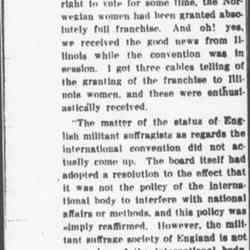 "The matter of the status of English militant suffragists as regards the international convention did not actually come up. The board itself had adopted a resolution to the effect that it was not the policy of the international body to interfere with national affairs or methods, and this policy was simply reaffirmed. 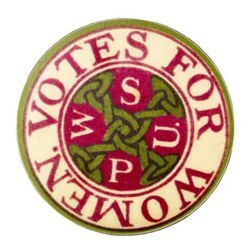 However, the militant suffrage society of England is not a member of the international body. 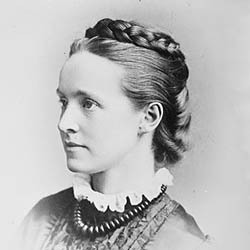 The English society represented is the one of which Mrs. Fawcett is president, the Union of Suffrage Societies of Great Britain. I did not visit England at all this trip. I came back by way of Cherbourg." Jane Addams on World Congress, Woman's Journal 44 (July 12, 1913): 224. Addams, Jane, “Comments on The International Suffrage Congress, July 12, 1913 (excerpts),” Jane Addams Digital Edition, accessed April 22, 2019, https://digital.janeaddams.ramapo.edu/items/show/8987.